Daily rental includes 8 hours use on the meter. Additional charge will apply for overtime. Towing vehicle must be 1/2 ton truck and requires a 5000 lb rated hitch / 2" ball. 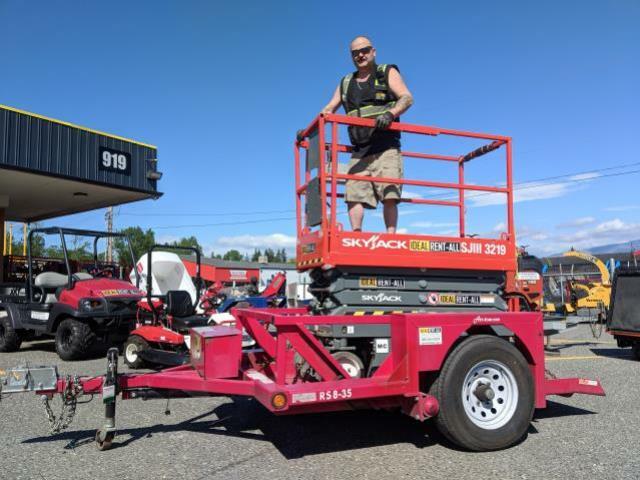 * Please call us with any questions about our lift scissor 19 foot w/trailer package in Mount Vernon WA and the Skagit County area.